The two European giants Bayern Munich and Real Madrid will face off at the Allianz Arena for the first leg Quarter Final clash which brings Carlo Ancelotti against his former side and his former Assistant Zinedine Zidane for the first time since his exit from the Club in 2015. 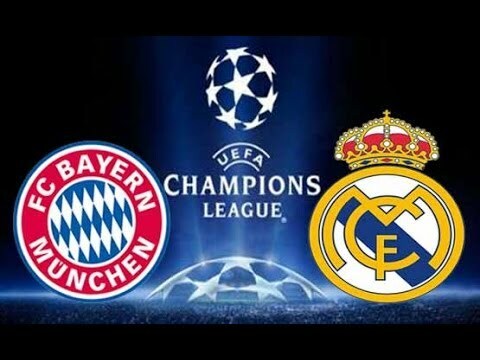 Both teams have been spectacular in this particular European competition, Real Madrid has 11 while Bayern Munich 5 and the last time Bayern Munich hosted Madrid, the German side was defeated 4 Nil which was their biggest ever defeat in a European competition and that was the last time they lost at home. Bayern Munich has Mats Hummels was ruled out after damaging ankle ligaments back in the Weekend which seem the only serious concerns for Ancelotti. Other minor issues include Thomas Mueller (ankle) and Robert Lewandowski (bruised shoulder) both expected to be available for the clash. For Real Madrid, Pepe will be out due to Rip fracture, he acquired during the Madrid Derby back in the Weekend while Raphael Varane is out due to Hamstring Injury. Both players will be missing in both legs. Daniel Carvajal currently undergoes a fitness test as he Recovers from a slight injury. The game is going to be a physical game with many yellow cards and Bayern Munich who has more experience in physical games will have an edge over their Visitors with Robert Lewandowski leading the front for the German side. Robert Lewandowski has scored in his last three consecutive games which is his highest record. Zidane has been doing it without Real Madrid star Christiano Ronaldo playing to his actual peak and will have to ones again try his best to get at least a goal in order to head into the second leg with an away goal advantage.